Ethiopian Airlines officials delivered 2-pound bags of scorched earth to families with which to conduct burial and memorial ceremonies, and death certificates are expected to be forthcoming. 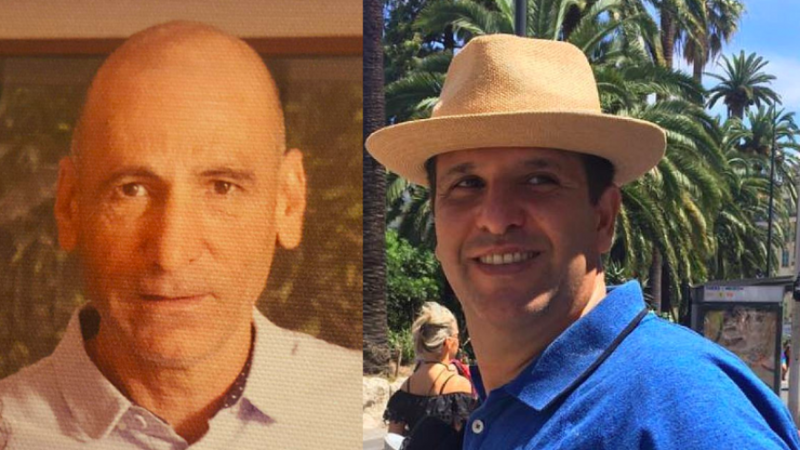 The two Israelis who died in the Ethiopian Airlines Flight 305 crash were identified as Shimon Re'em (left) and Avraham Matzliah. (April 1, 2019 / JNS) The families of two Israeli men who were killed in the crash of Ethiopian Airlines flight 302 on March 10 may begin the traditional mourning process of shiva for their loved ones, thanks to a ruling by a special rabbinical court who ruled on Sunday that the families may begin to move on despite the fact that identification of their loved ones’ remains has not yet been completed. Sephardic Chief Rabbi Yitzhak Yosef said that the evidence and testimonies presented to the court were sufficient for the families of 49-year-old Avraham Matzliah of Ma’ale Adumim and 55-year-old Shimon Re’em of Zichron Yaakov to hold shiva, the seven-day mourning period observed during the passing of close loved ones. However, the rabbis said the wives of the two men will not be considered unmarried until some remains are identified and therefore may not engage in new intimate relationships, such as remarriage. Upon receiving the halachic decision, the families promptly began to sit shiva. ZAKA representatives reported that Ethiopian officials have not given them free rein to comb the site for remains, which has delayed obtaining the evidence that would bring some closure for the families. The Boeing 737 Max aircraft, which went down near Addis Ababa, is believed to have crashed due to the misfiring of the anti-stall prevention system that caused the plane to nosedive—an issue that has grounded many similarly type planes around the world.